This week the BBC are showing a few series which are all based in Canada showing what a fabulous place North America really is and certainly not to be missed. We hope you caught Dan Snow last Sunday night with Operation Gold Rush in the Yukon. More jaw dropping scenery to follow next Sunday night (21.00 BBC2) in part 2. Arctic Live started Tuesday on BBC 2 from 20.00 – 21.00 live from Churchill and continues on Wednesday and Thursday with Kate Humble, Simon Reeve and Gordon Buchanan. Finally if this is all too highbrow for you we have Buble at the BBC on Thursday BBC1 at 20.00. This will be similar to the show Graham Norton did with Adele last year which had over 4.5 million viewers. “All the trips you had booked for us worked without a hitch: the whale watching was excellent, and we were able to see a large pod of orcas; the raft trip was also good fun. The car and ferries all worked out well, and we were pleased to have the freedom of the car to go where we wanted. Apart from the last couple of days, the weather was warm and sunny throughout: I think we were lucky there as it had apparently been very wet before we arrived. It’s difficult to say what we liked most, really, as each day we found something very different to do and enjoyed it all. This itinerary combines the Provinces of Nova Scotia, New Brunswick and Prince Edward Island; a rugged and scenic coastline, unspoiled wilderness and friendly hospitality make this a perfect destination. Arrive Halifax, Nova Scotia. A delightful city, which has the ambience of an old university town, set around a busy harbour. Places to visit include Halifax Citadel, Maritime Museum of the Atlantic and the Prince of Wales National Historic Site. Pick up your rental car and drive to Lunenburg. En route stop at Peggys Cove and Mahone Bay – delightful scenic areas. A colourful fishing village, Lunenburg was originally occupied by Germans, hence the name. Depart Lunenburg and drive via the Kejimkujik National Park to Annapolis Basin. A wonderful scenic drive, visit the Fort Anne national historic site and the Annapolis Royal Historic Gardens. Nearby there is excellent whale watching opportunities. Leave Digby and board the scenic ferry to New Brunswick. This passage is home to many species of whales, seen more frequently than in the rest of Canada. Some of the rarest and largest whales in the world come to feed and breed here including the rare Right whale. Continue on to Fundy National Park. The park covers 206 square kms in area and has steep coastal cliffs and clear streams. Hopewell Rocks, shaped like giant vases are covered by the tide each six hours – the largest tidal drop in the world. Depart from Fundy National Park and cross the 13km long New Confederation Bridge over the Northumberland Strait to Prince Edward Island (PEI) with its endless sandy beaches, tiny farms and picturesque country roads. PEI’s National Park is 32 sq. miles in total. It features a 19th century wooden farmhouse, famous as the inspiration for the classic novel “Anne of Green Gables”. Seal watching cruises are available, returning in time to enjoy the evening in tiny Charlottetown, the provincial capital and another maritime centre. Take the ferry across to Pictou, Nova Scotia. Antigonish is the highland heart of Nova Scotia. The town is the site of the Annual Highland Games featuring traditional Scottish contests. Take the clockwise route into Cape Breton. En route visit the Mabou Gaelic Village and stop at one of Inverness’s fine beaches. Continue on to Cheticamp – an Arcadian fishing village renowned for Whale Watching. This coastline is famed for its bald eagles. Continue along the Cabot Trail – one of Eastern Canada’s most popular scenic drives. You will drive through the Cape Breton Highlands National Park and then on to Louisbourg. Visit the Fortress of Louisbourg – Canada’s largest National and Historic Park. Between June and September costumed ‘animators’ live in the fortress, making it come alive as it was in the summer of 1744. Take the Eastern Shore to Liscomb Mills, Nova Scotia. The Marine drive leads through forests and over low hills. See also re-created Sherbrooke Plantation. Many excellent ocean views are available from small side roads to the shore. Take the attractive coast road, taking in some spectacular scenery as you head towards the city of Halifax. Take the Airport Road, drop off your rental car and check in for your return flight. This itinerary takes you off the beaten track to explore this beautiful island: fishing villages, rich geological history, unique landscapes, hidden lodges, diverse wildlife and a warm welcome await. One of the four Atlantic Canada provinces and much closer then you might think and reminiscent of New Zealand in many ways, but considerably closer. Awaken your senses to a boundless beauty, with breathtaking views and dramatic exposures as you drive to the harbours and fishing villages that are definitely off the beaten track. Newfoundland is an island the size of the UK with a mere half million inhabitants where titanic icebergs float by tiny villages and Inuit culture thrives. St John’s is the small vibrant capital city of Newfoundland. Take a harbour cruise to view Icebergs and Humpback whales and drive to see Cape Spear, the Cabot Tower, Quidi Vidi Village, the Titanic Museum and Signal Hill. Drive south to the Avalon Peninsula. From here tour Witless Bay where the largest Puffin colony in North America nests. Also visit Cape St Mary to see the colony of Northern Gannets. Drive north to Trinity – the cultural capital of Newfoundland. Follow the fascinating Discovery Trail and recognise various film sets along the way. Drive to Terra Nova. Terra Nova National Park has sheltered bays, rugged ocean coastline and rolling forested hills. Keep an eye out for Ospreys, Eagles, Lynx and Moose. Drive on to Twillingate. Visit the Long Point Lighthouse, one of the best places in Newfoundland to see humpback whales and icebergs. 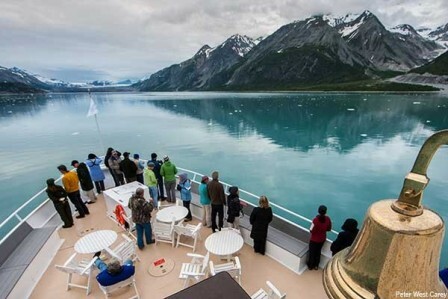 Take a cruise of Iceberg Alley – majestic icebergs, breathtaking scenery and a mixture of wildlife. Take time to explore the south side of this magnificent park. Suggestions include visiting the impressive Discovery Centre, perhaps take a boat cruise on Trout River Pond – an excellent way to see the spectacular Tablelands. Drive the Viking Trail up the Northern Peninsula and visit both L’Anse aux Meadows – the only authenticated Viking settlement site in North America and Norstead Viking Village – a fascinating re-enactment of how Vikings lived over 1000 years ago. Drive north into the Gros Morne National Park – a UNESCO World Heritage Site. Visit the Visitor Interpretation Centre, walk along the boardwalk to Western Brook Pond and take a boat cruise. Don’t miss the Tablelands, one of only two places on the planet where the earth’s mantle is exposed. Little grows here other than a few harebells clinging to tiny crevices where soil has lodged. ‘What an experience, in so many ways the people seem to be stuck in a different age, but what lovely, friendly people, they were the high point of our wonderful adventure. Enormous amount of Icebergs (which dragged down temperature) about, very interesting, and gave some good photo’s. A very beautiful country, enjoyed all stopovers on route. So, must say, that the tour and arrangements stood up to the usual quality we have come to expect from Experience, thoroughly pleased. Only problem now is: we have to decide is which direction we want you to send us next.